Lincoln Honda Repair | George Witt Service, Inc.
A 10-year-old Honda still has a ton of reliable, trouble-free miles left in it. In fact, many would say it’s just getting broken in. We can help keep your transportation costs low and your driving enjoyment high. Call us for service and repair on Honda vehicles. Being a specialist in Honda cars and SUVs means we’ve learned how Honda design engineers think. This in-depth understanding means your Honda repair is done faster and for far less money in most cases. We don’t guess what’s wrong, we have the experience, Honda authorized factory repair information and auto test equipment to know what it takes to service and repair your Honda. One quick example is that Honda says machining brake rotors when replacing brake pads is an unnecessary expense. It adds to the labor cost, increases the down time and shortens the life of the brake rotors. We’ve always followed Honda’s instructions. We don’t machine rotors and we use factory brake pads. This means you’ll spend less and your parts will last longer. No brake noise and no ugly brake dust on your wheels, either. 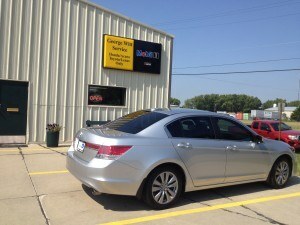 We are a great alternative to Honda dealer service in Lincoln, NE. Important things Honda owners need to know. Honda vehicles are very well built and, for that reason are very fussy about replacement parts. We protect your investment by using the best quality parts. Honda fluids are the only fluids we use. Each Honda fluid was developed to solve a problem that existed with common industry fluids. We don’t use additives or supplements in any fluid in your car. They don’t help and often hurt. 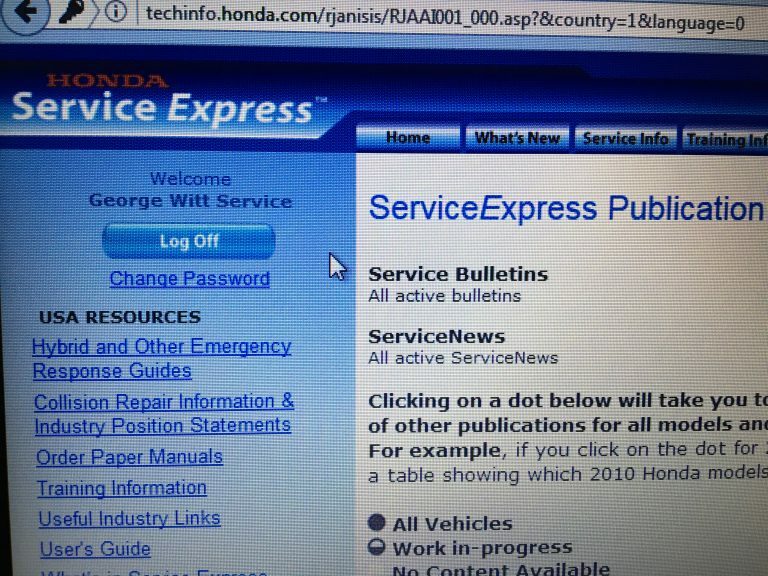 We use Honda certified factory test equipment and Honda certified service information. We fix cars for less because we don’t guess! Our staff is passionate about doing the job right and performing repairs that last a long time. We want to earn your business. If you bring your car to us, we’re confident that you’ll drive away saying you really like having your car serviced here. We keep your car reliable for a long time.